The Next Update: Hello friends In my blog, all of you are welcome again. Friends, every person should make a policy under an LIC, ie Life Insurance Corporation of India, in the days of tomorrow so that the rest of his life remains absolutely safe. 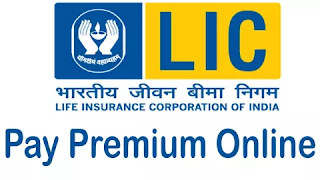 Today, we are going to tell you about a policy of LIC through this article that is very beneficial for you. So let's talk about this policy in detail. For your information, let us know that a very good policy of LIC is going on in the market, which we are going to tell you today. Friends, LIC's policy is a lifelong goal, and you can easily take this policy for both your boy and girl. Let us tell you that in this policy, you only have to deposit 625 rupees per month for 18 years and after 21 years you will be paid 7,24,990 rupees by LIC. If the premium holder dies, then the policy premium will not be charged. Normal death of premium holder will get Rs 2,13,990 for nominee. If death of premium holder is due to accident, then nominee will be given Rs. 4,69,990 immediately. If the policy is the name of the girl, the death of the premium holder will be deposited in the name of girl 38, 990 rupees per year by LIC for higher education of girl.